And who wouldn't be?! 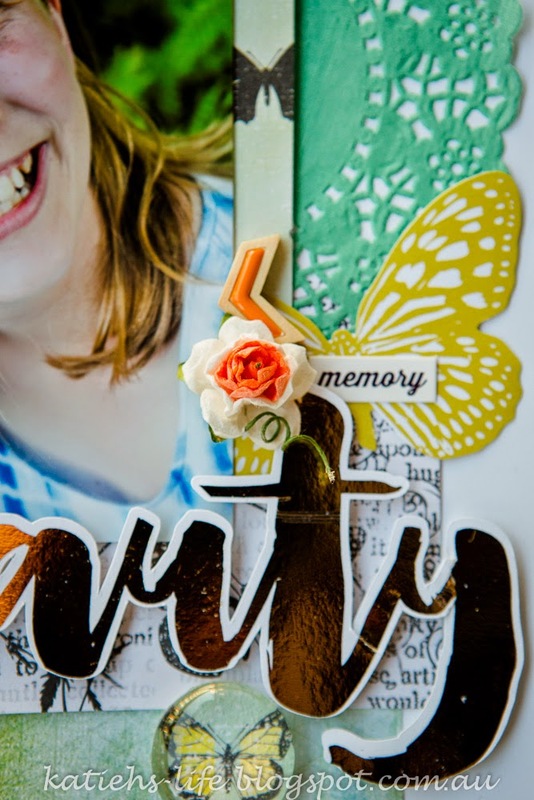 All those pretty butterflies and colours, and the gorgeous new Charms Creations that include printed wood veneer butterflies just finish the job off. I found some perfect paper in my collection, from Studio Calico's Print Shop collection. The colours and even some butterfly paper were a perfect match. 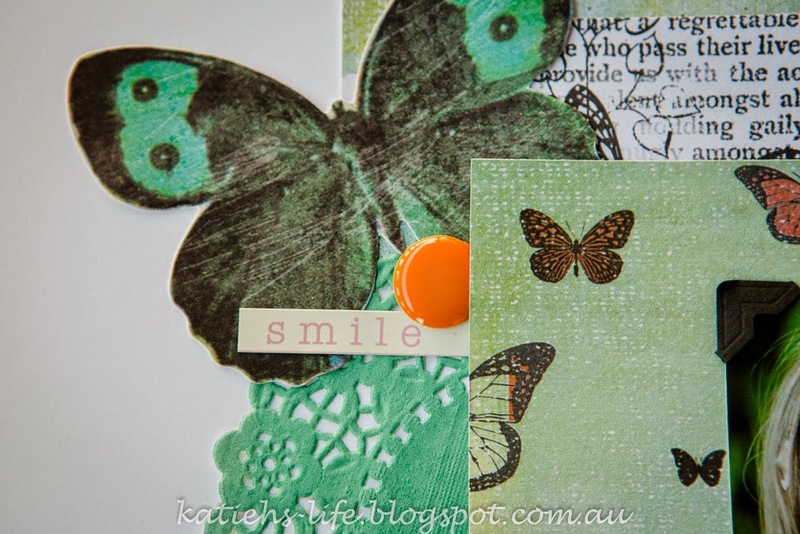 I also found some die cut butterflies from some Crate Paper and Studio Calico collections I had in my stash. I was pretty set! Check out the title! Pretty sweet isn't it?! I have been playing with foiling and I think that I am in love! I am using the laser printer and laminator method and it works a treat (check out Jennifer McGuire's you tube videos if you want to see how it works). I even took it up a notch and did the title as a print and cut from my Silhouette software. So pretty! Add in a few pretties to make a little cluster. Can you spy the D-lish goodies? The paper flower, Pink Fresh Studio chevron wood drop and coloured doily. 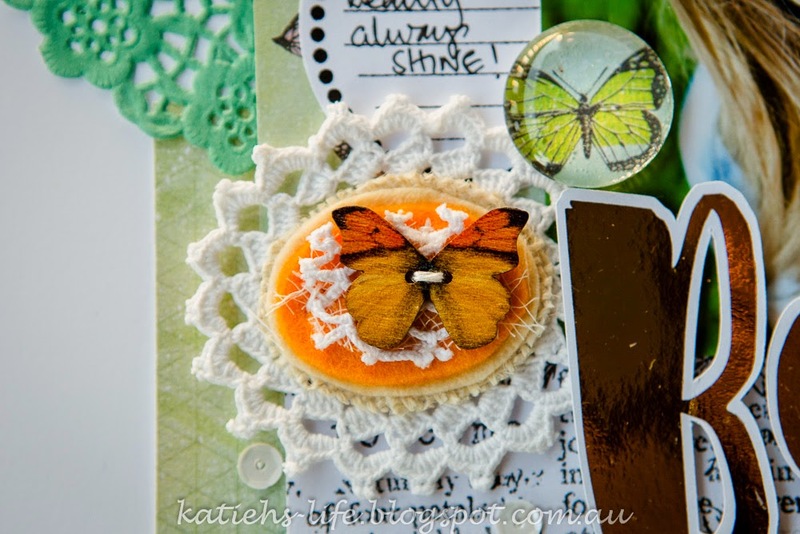 How gorgeous is this butterfly lollipop from Charms Creations. I just love that I could add a touch of orange to my page with this. 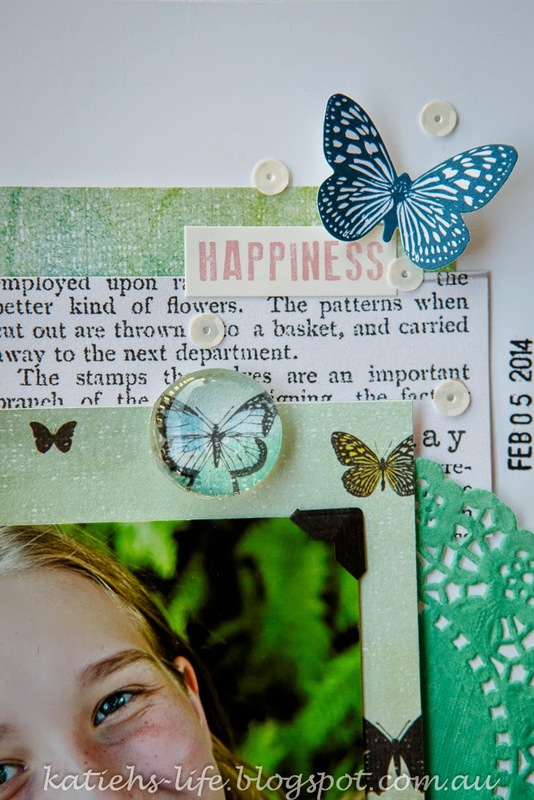 I also used some punched out butterflies from the paper with some glass cabochons from D-lish Scraps to make some great extra embellishments. 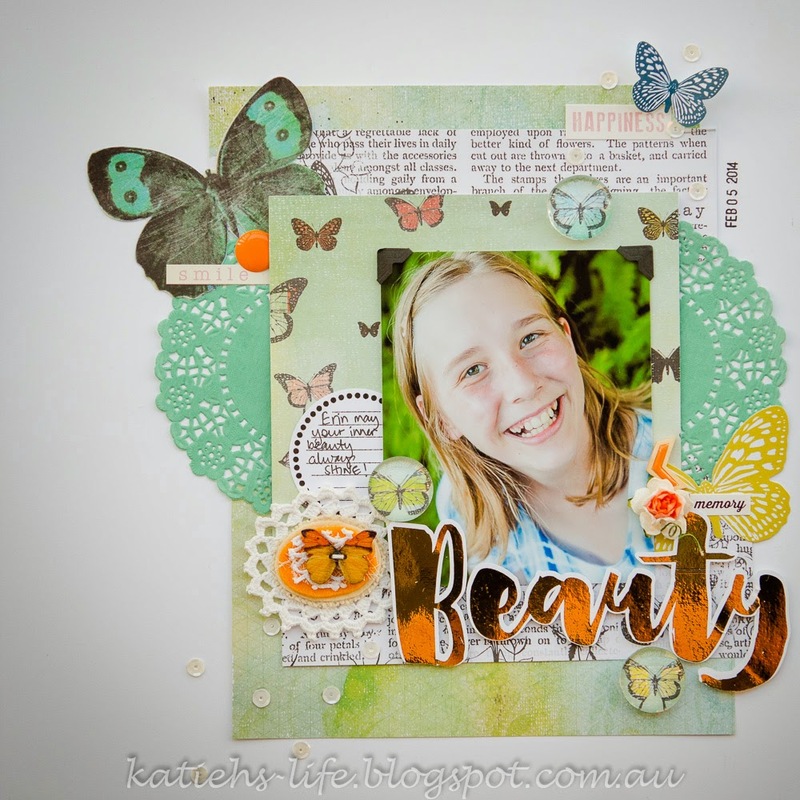 Isn't this die cut butterfly the perfect addition?! The colours and everything! Throw in a few sequins and finish the page off! 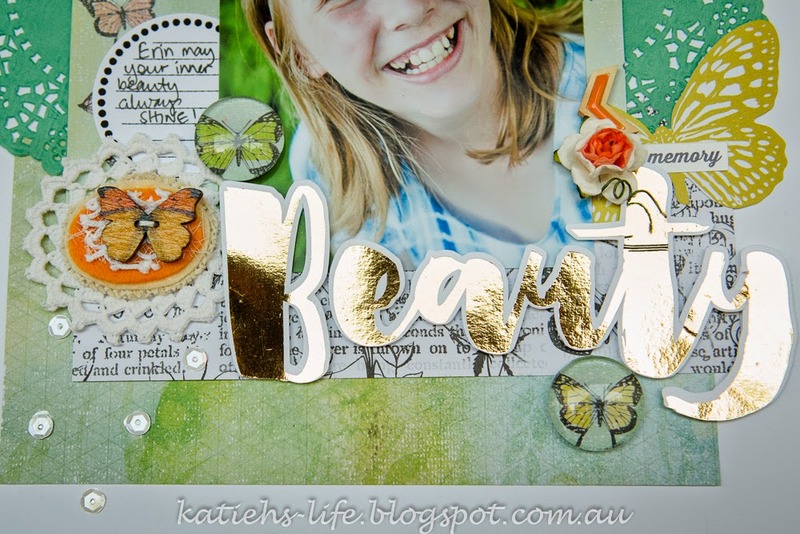 Sequins are a great way to add something extra to your page. So that is my take on the mid month challenge. Why don't you have a go! Check out the shop here too if you want your very own Charms Creations with a pretty butterfly.